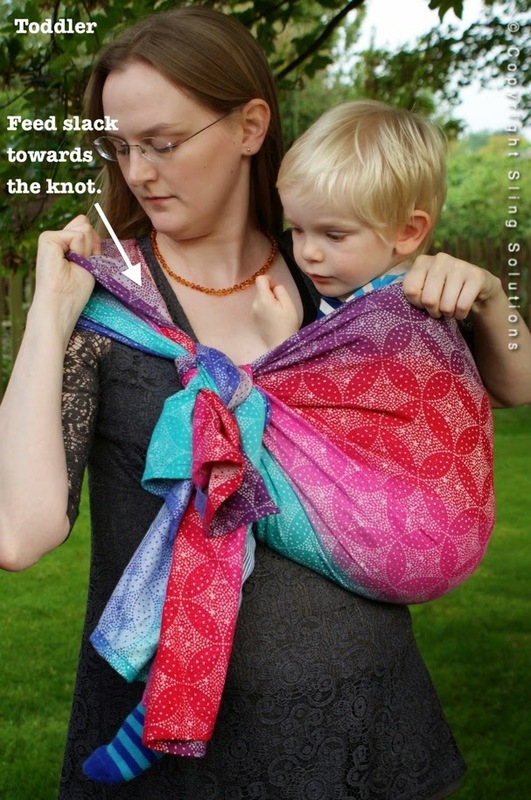 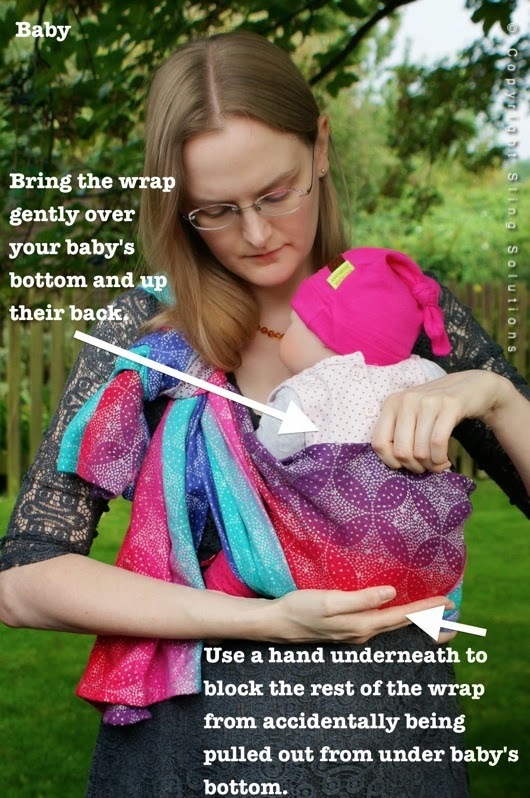 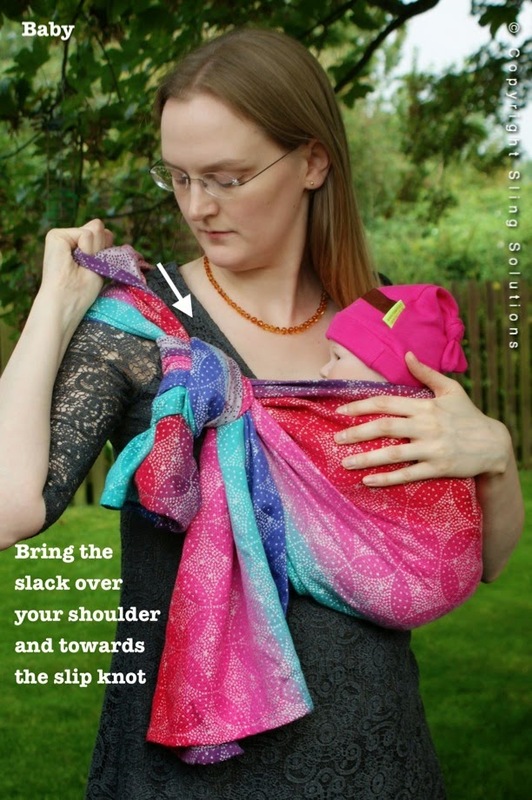 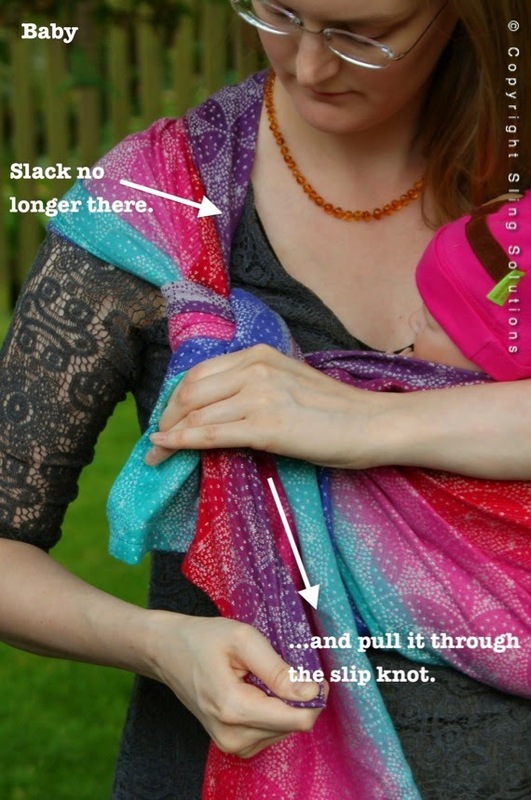 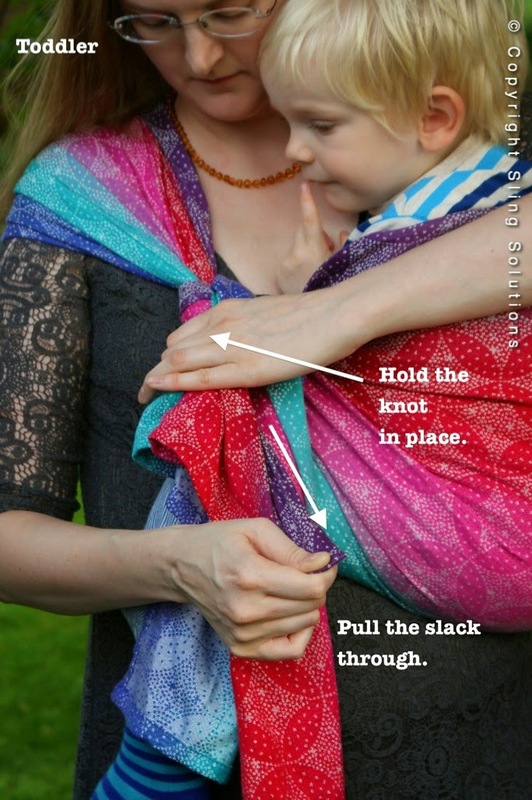 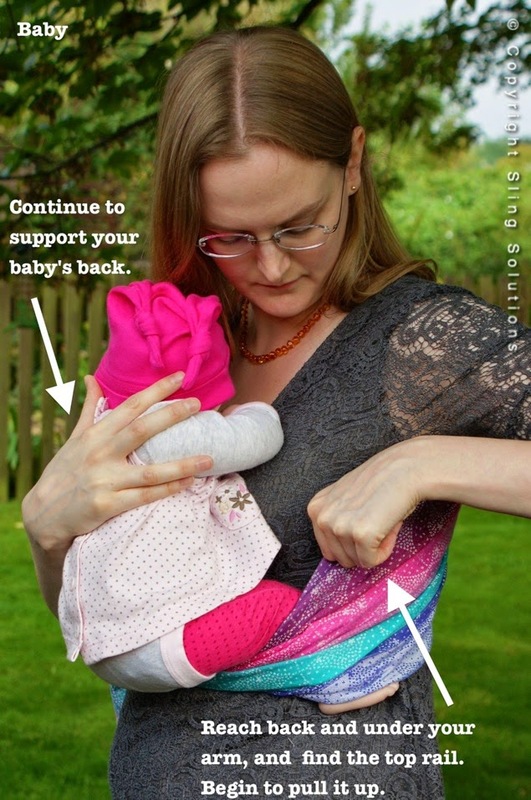 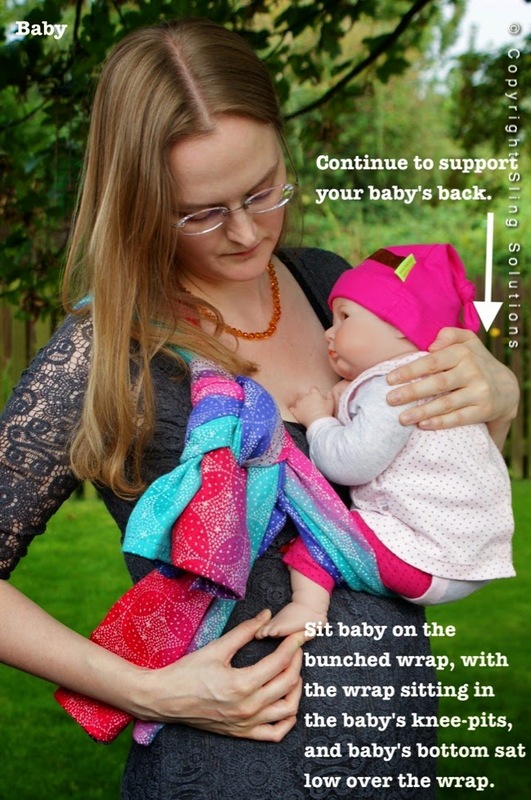 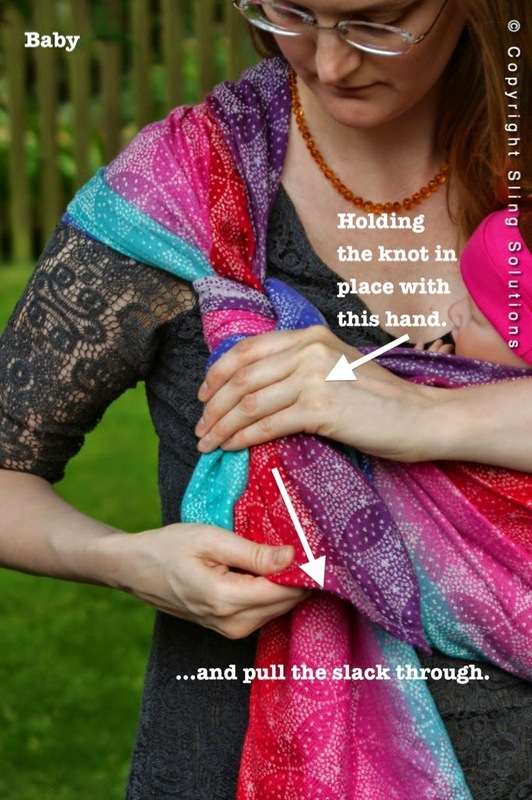 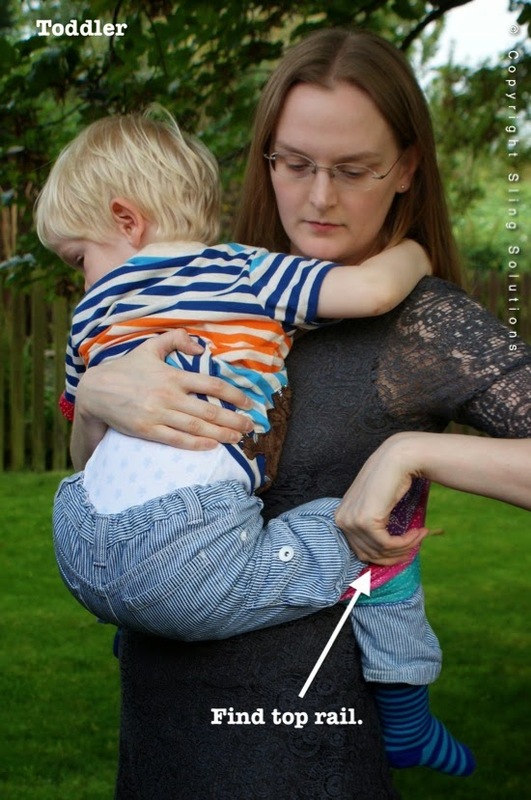 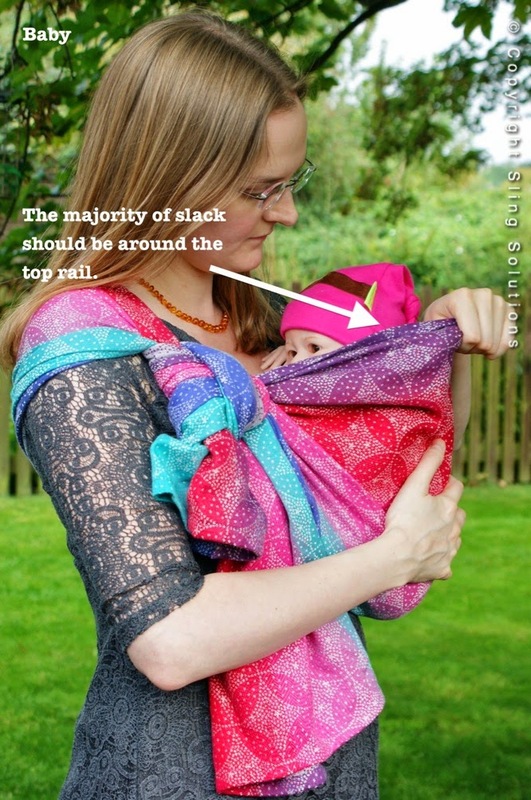 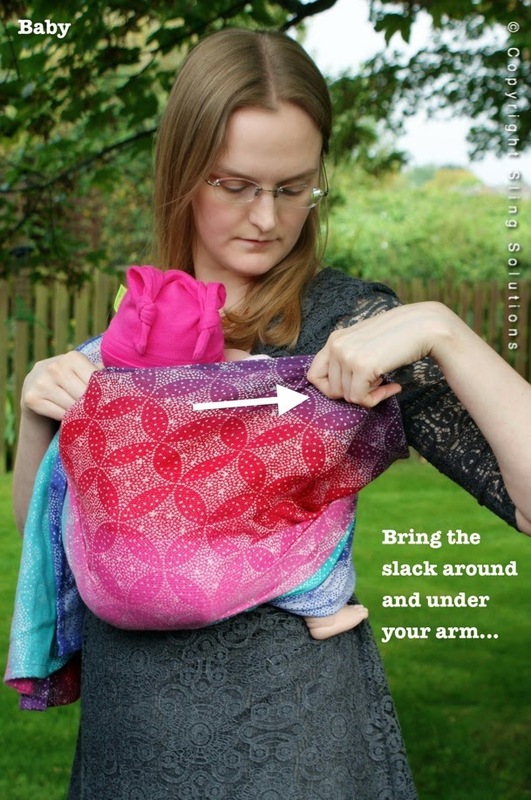 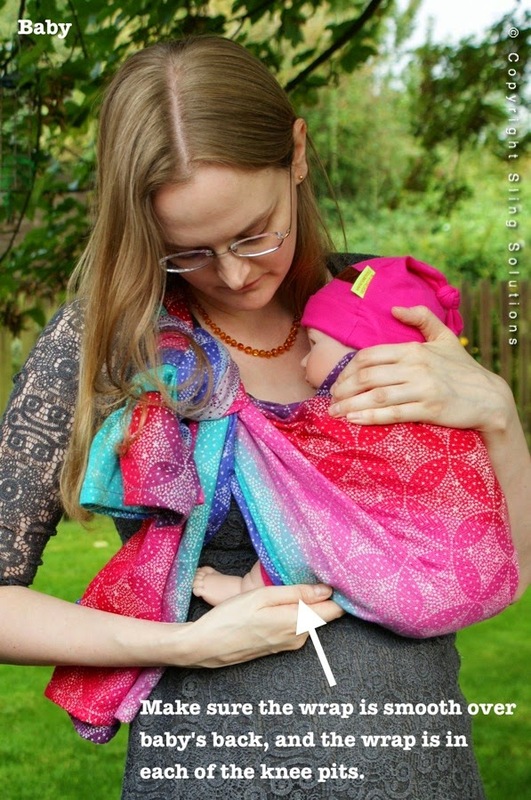 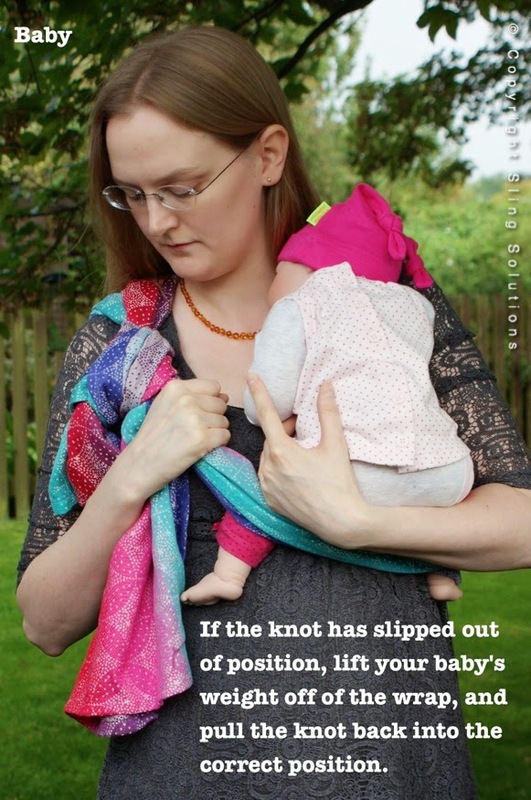 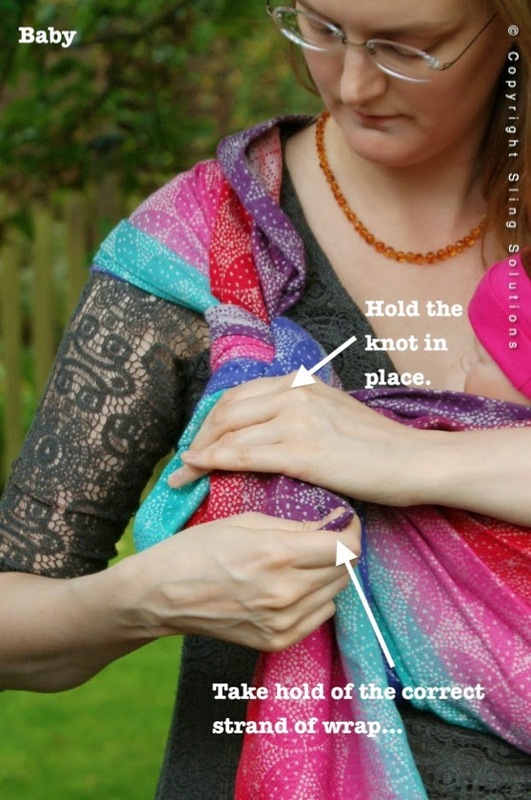 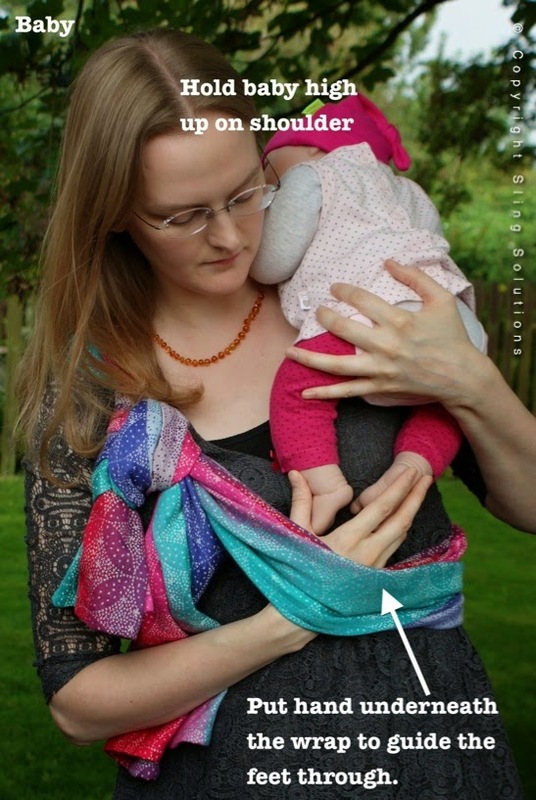 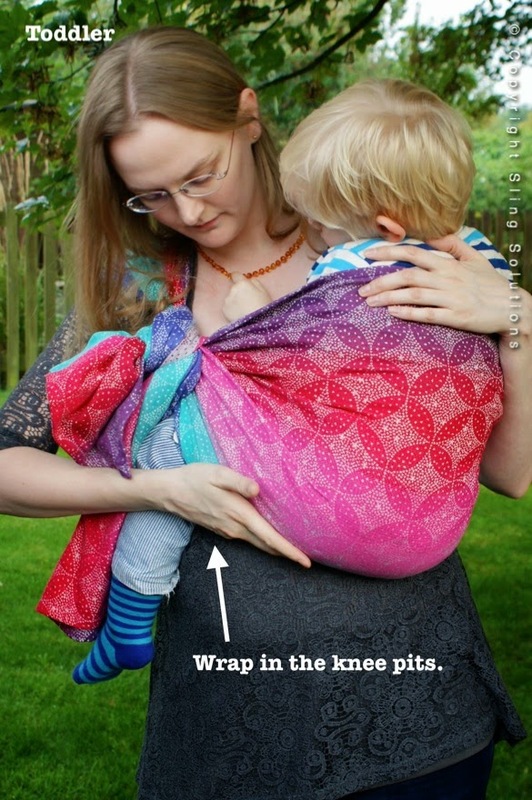 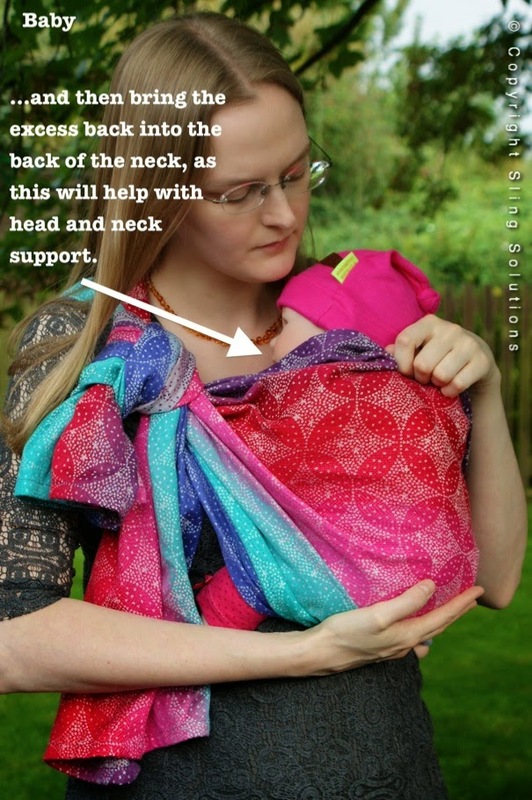 A slip knot hip carry (also known as a 'humble hammock'), is a really useful carry for both babies and toddlers. 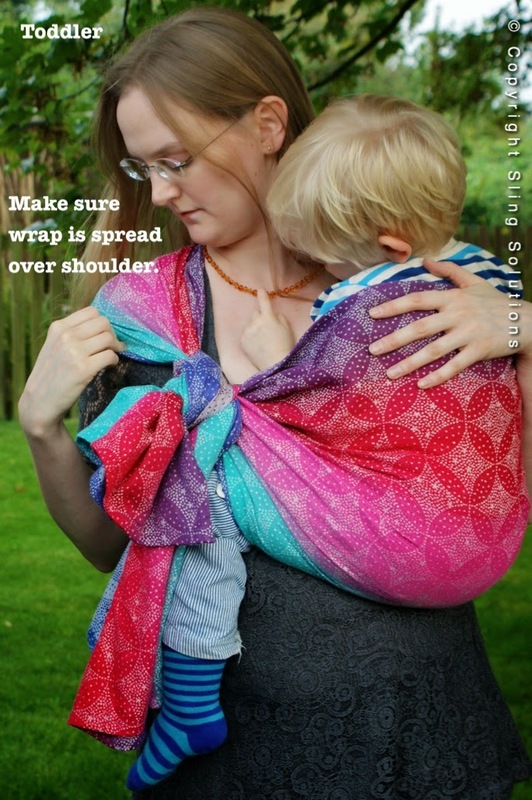 It only needs a size 1 (2.2m) or size 2 (2.7m) wrap, and because it uses a slip knot, it is very adjustable. 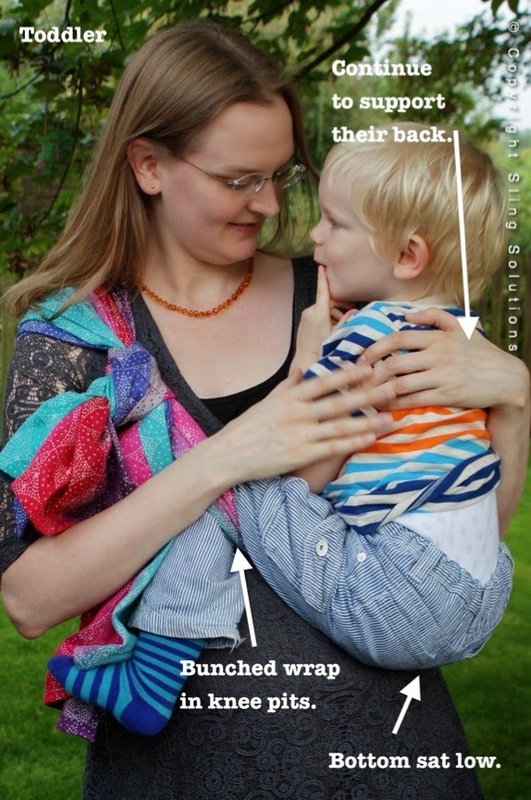 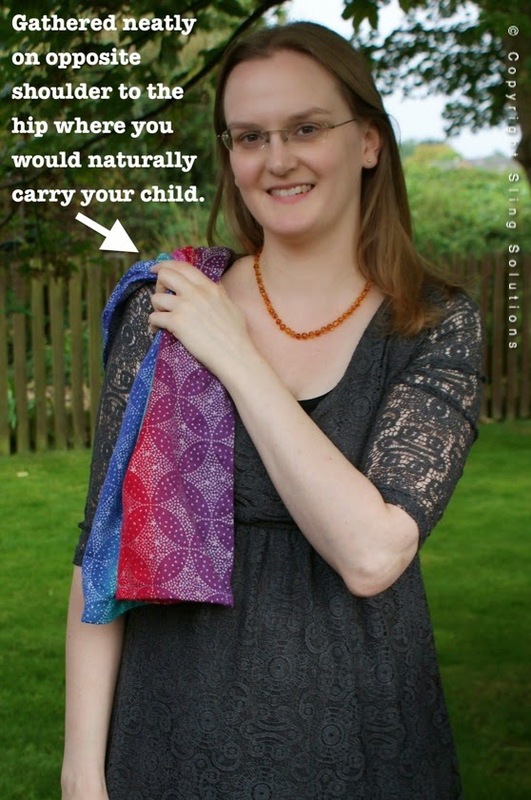 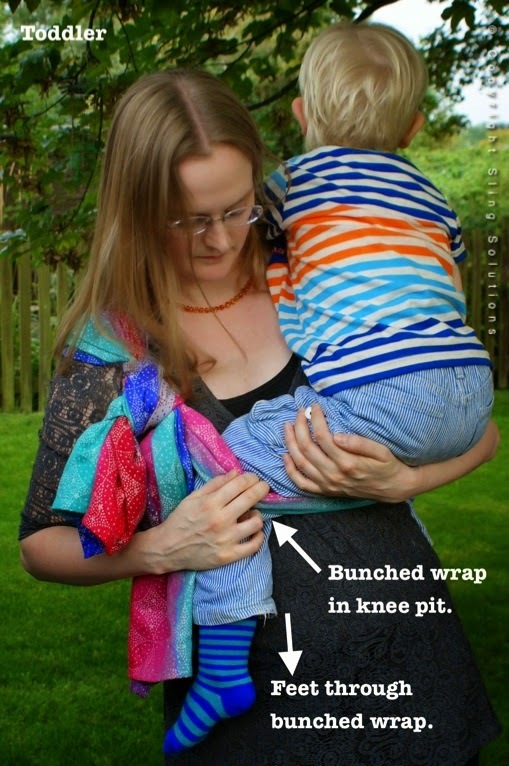 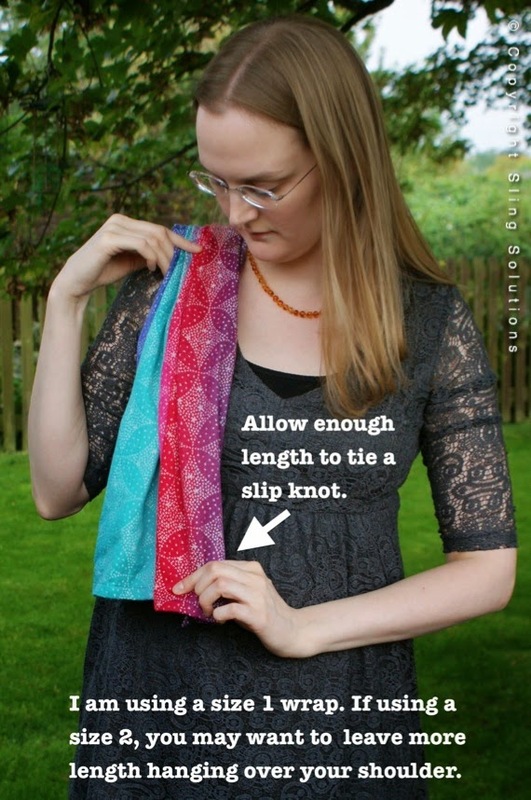 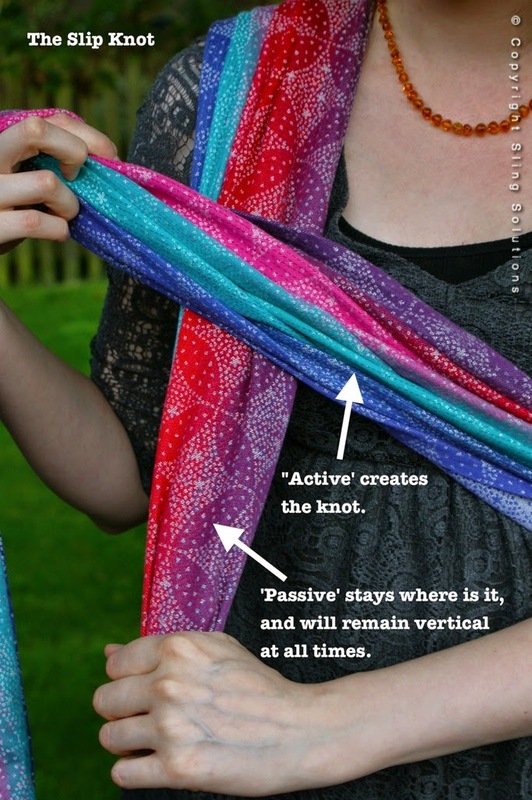 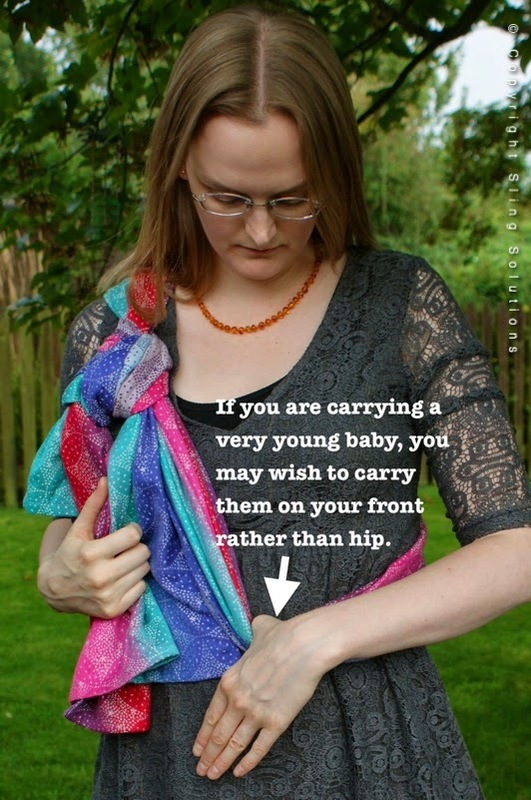 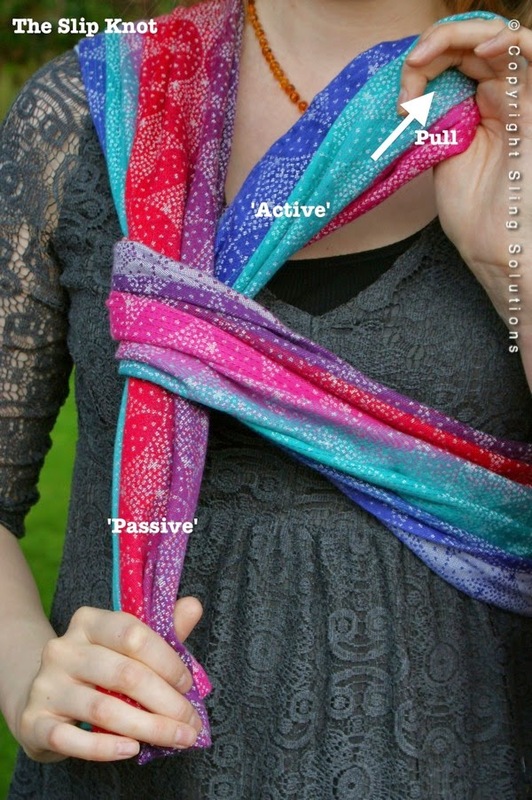 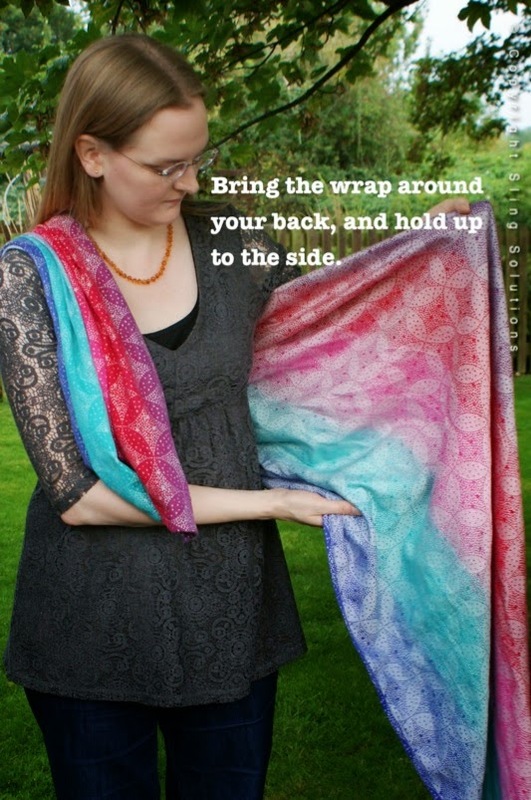 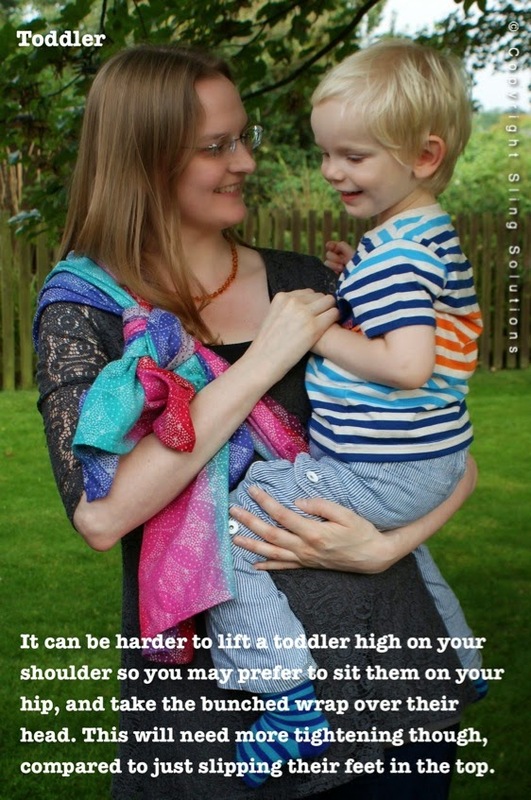 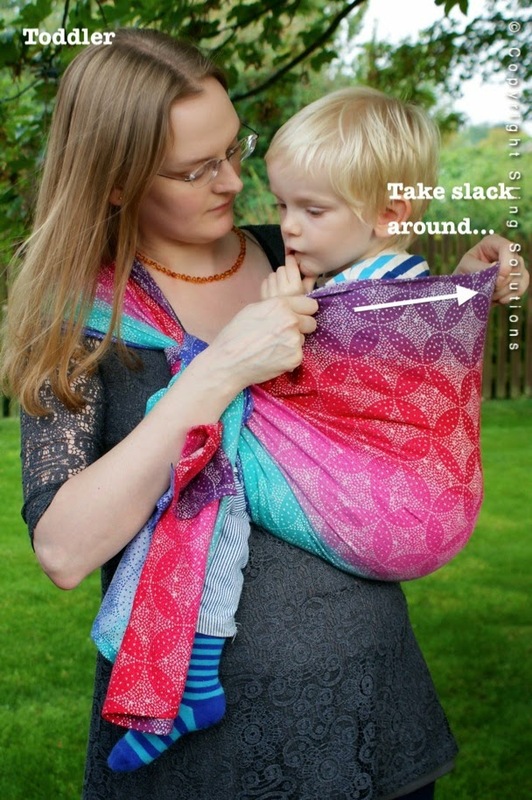 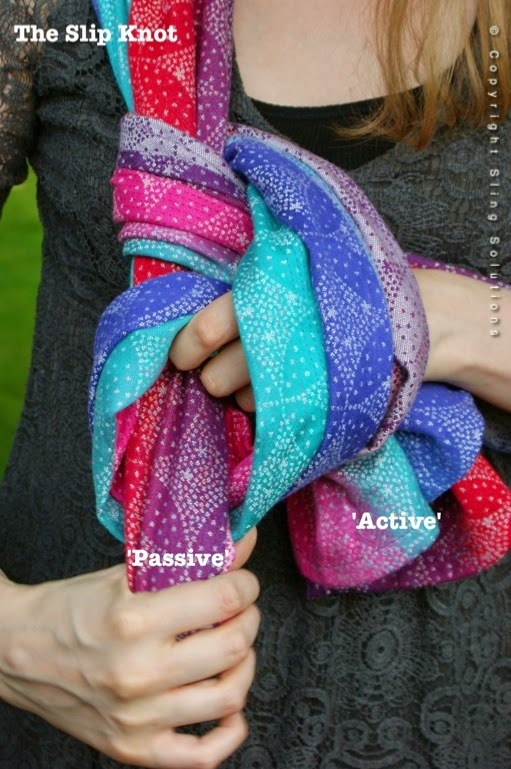 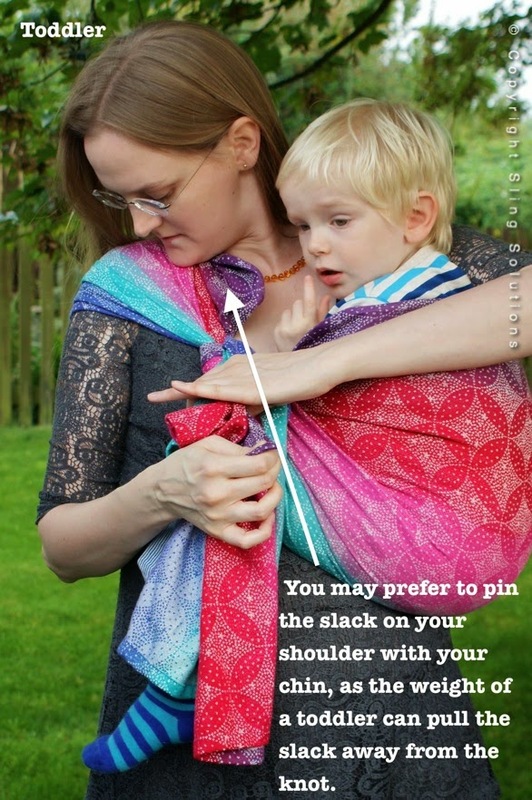 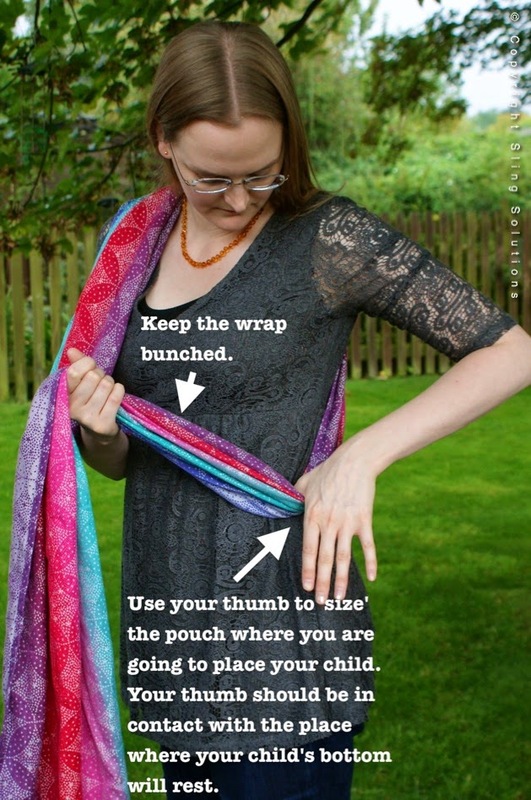 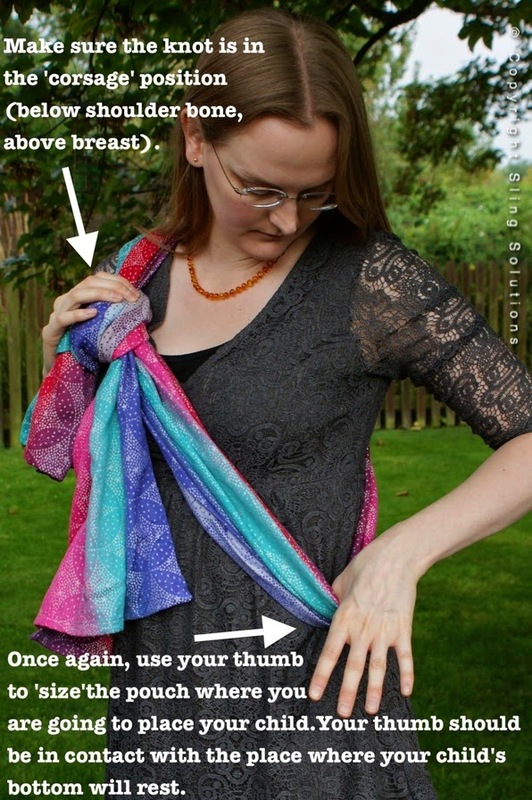 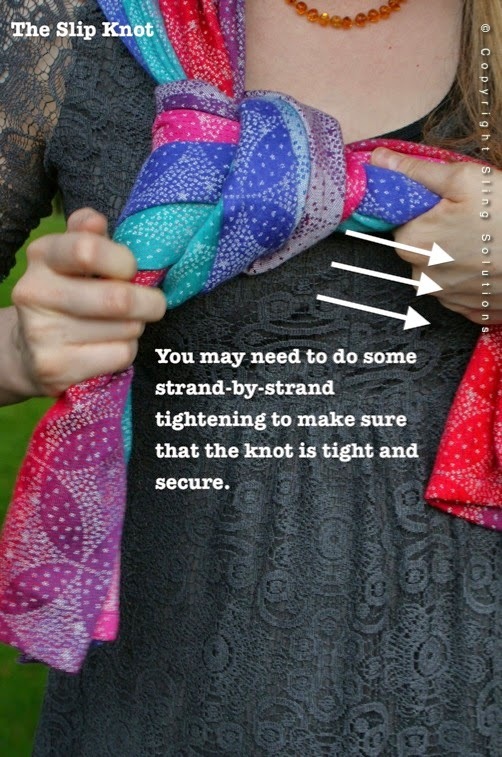 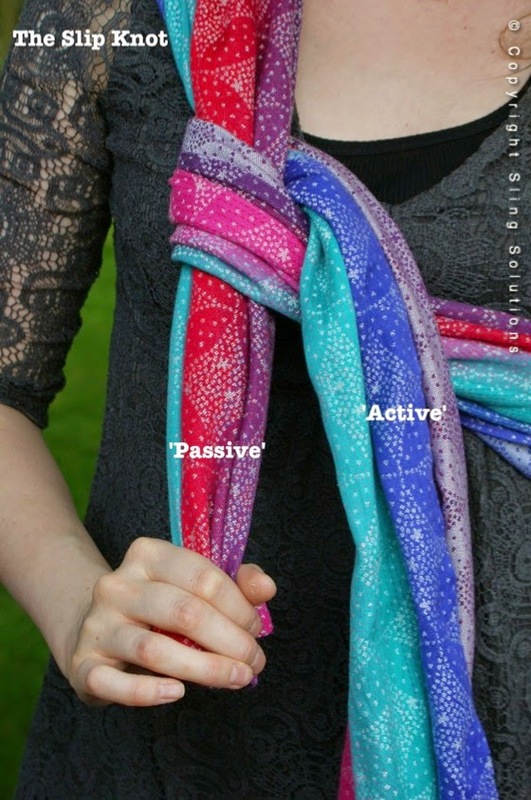 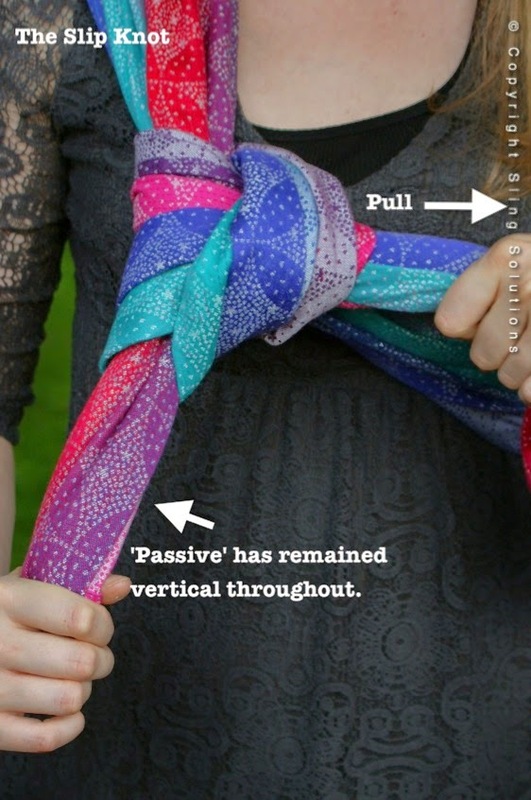 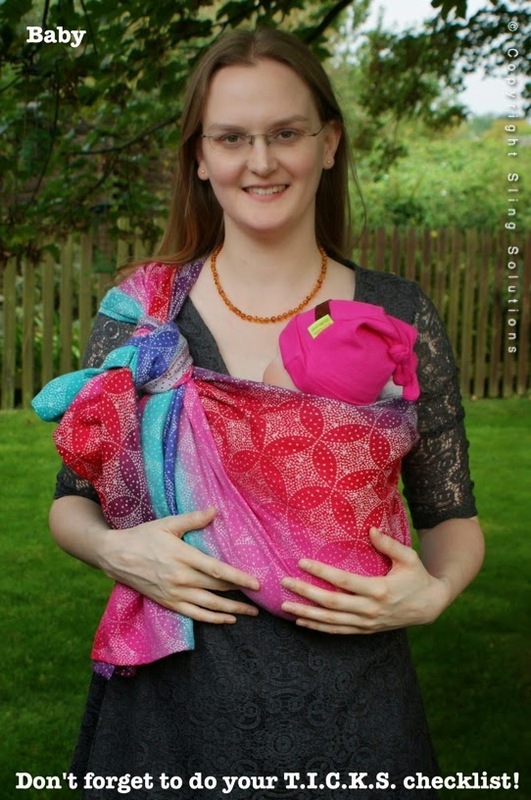 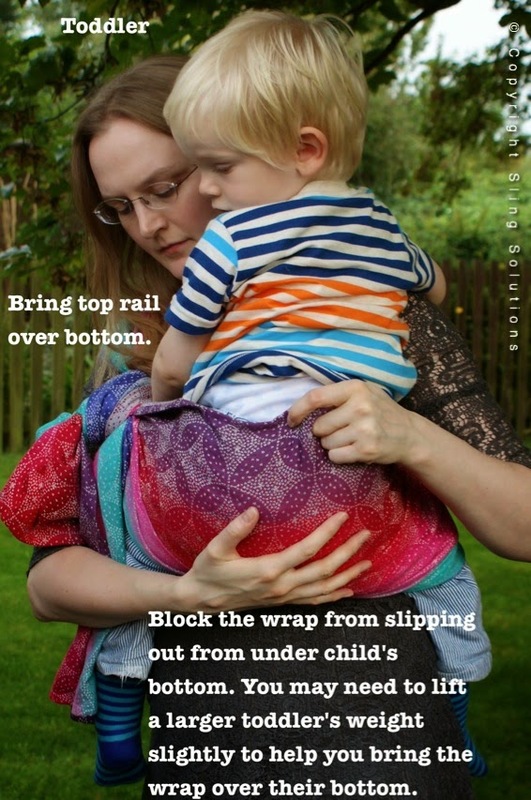 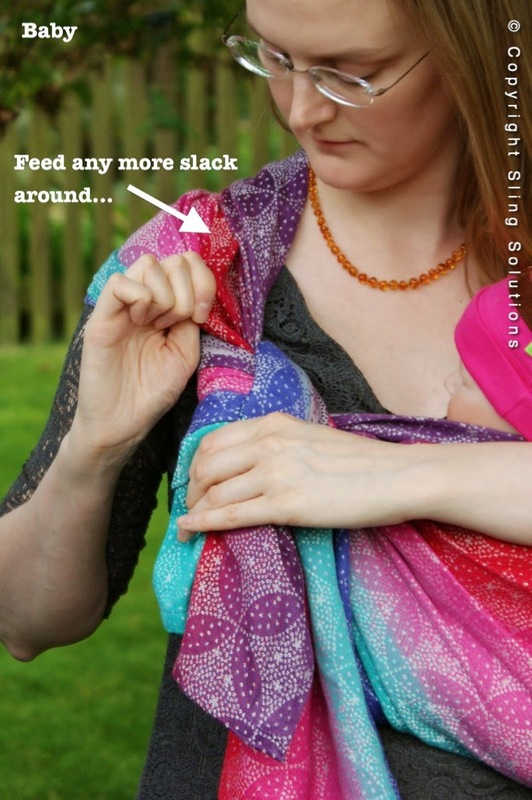 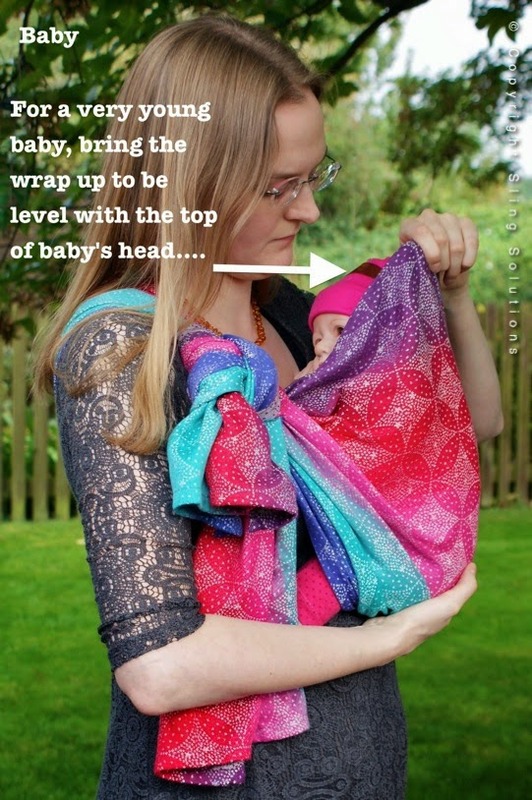 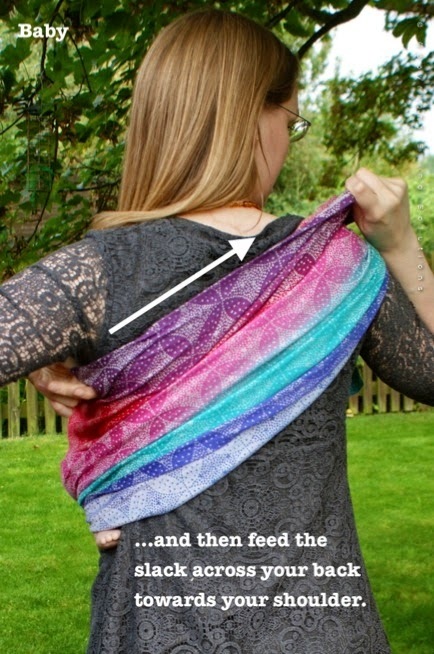 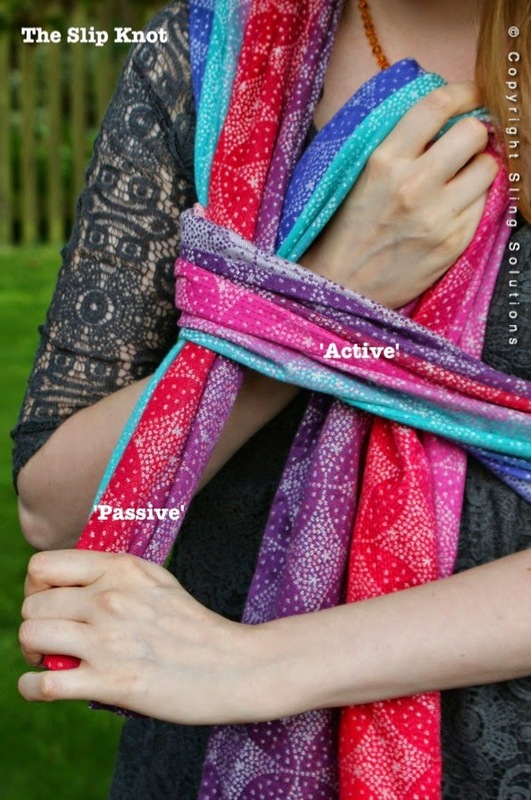 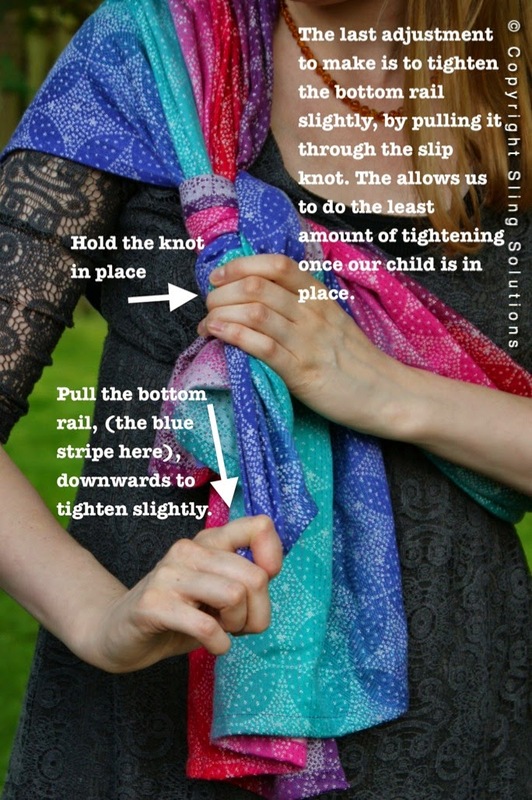 Many people like this carry with a toddler who is enjoying walking, as you can take a short wrap out with you as a scarf, and quickly tie it into rebozo hip carry when little legs get tired. 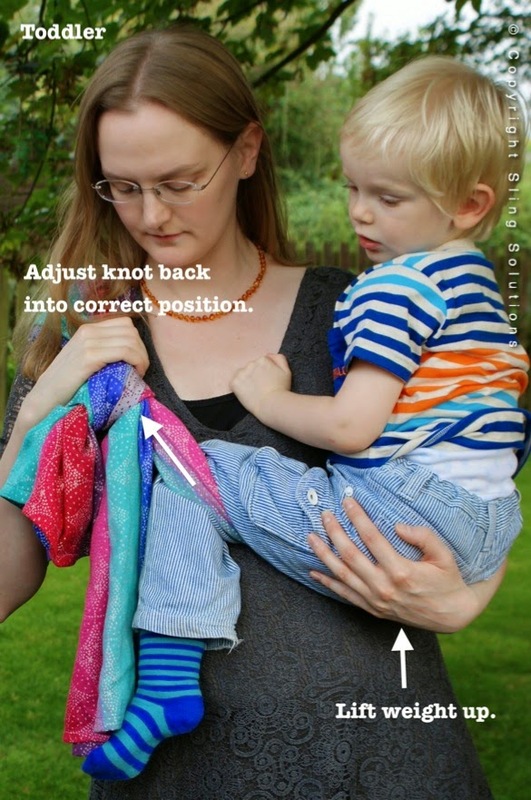 I have created this tutorial with both a 0-3 month size demo doll, and my tall 2.5 year old toddler, to show how the carry looks with different size children. 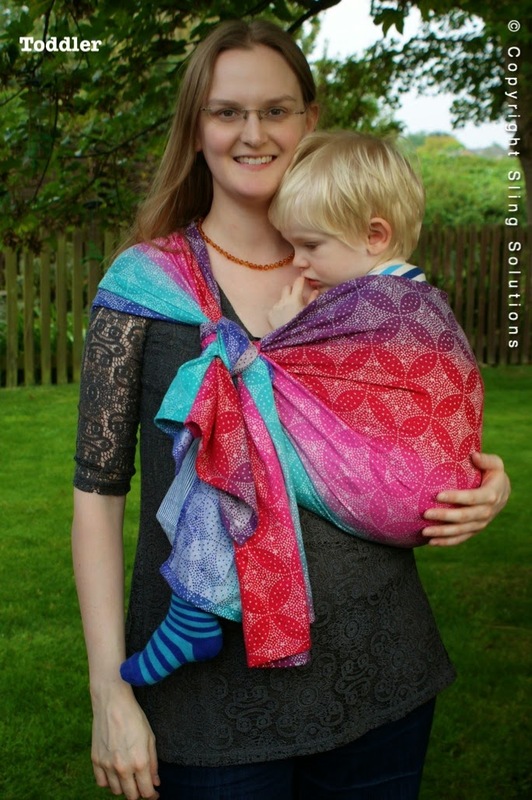 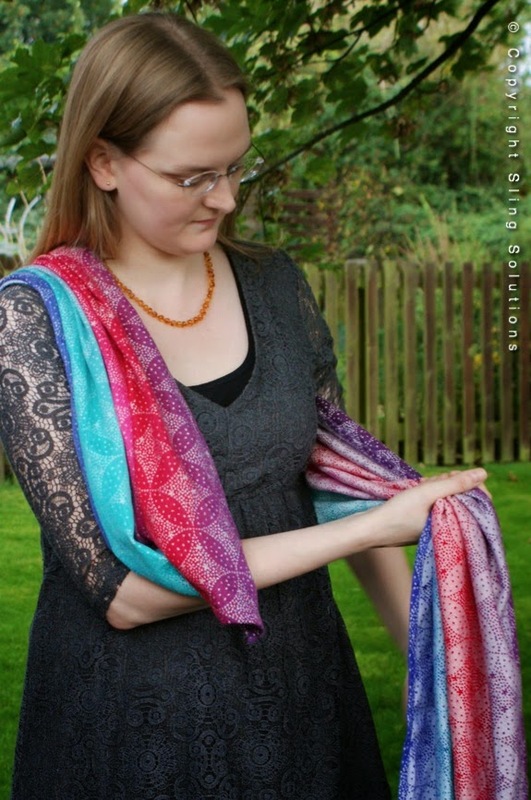 I am using a 2.12m size wrap, made by Oscha Slings, who actually sell this size as a shawl, but it can also make a great hip carry length! 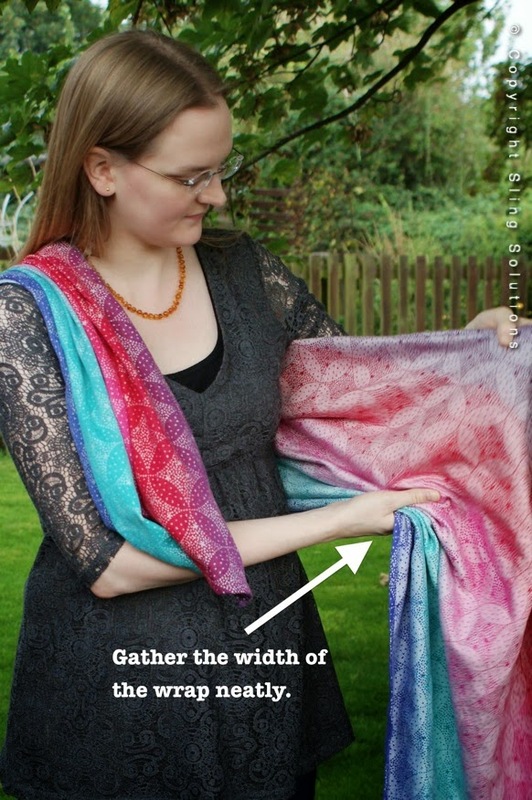 (You can click on any individual picture to enlarge it). 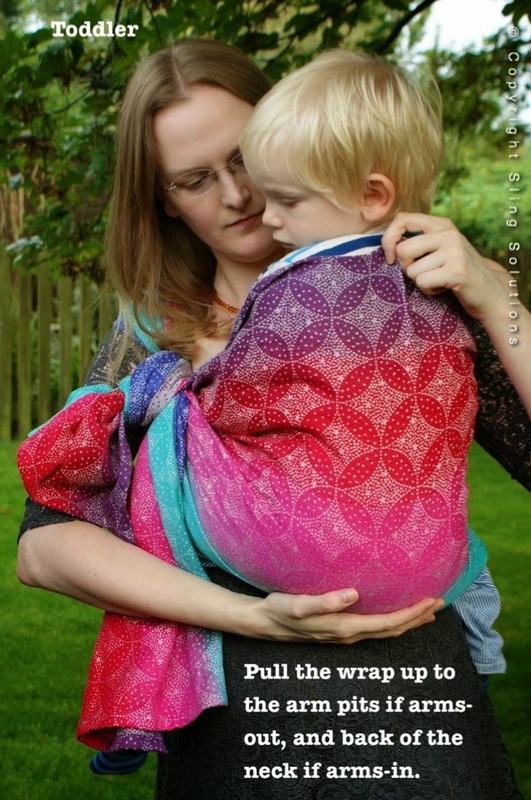 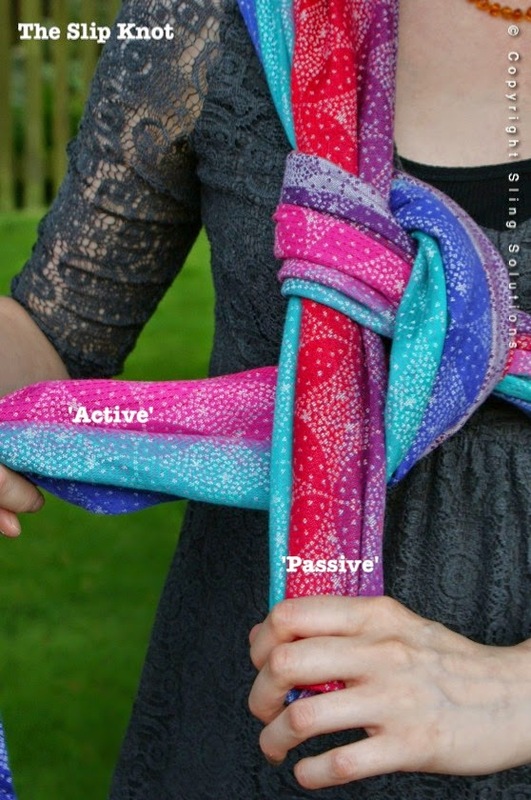 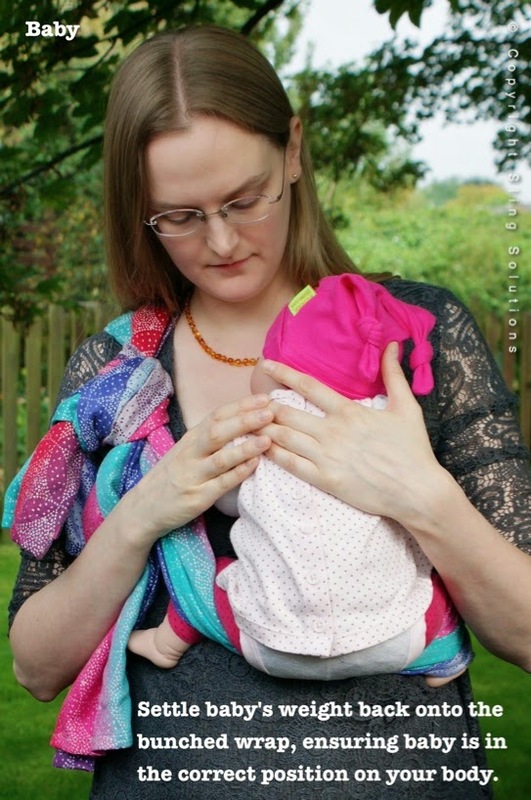 Babywearing Consultancy within Gloucestershire, UK.